You can learn more about the movie at The Identical website or watch the trailer. I watched this with the girls. In spite of the PG rating, there was nothing in the movie that I thought was inappropriate for them to see. This is a touching movie, although I will be honest, I'm not a huge fan of Elvis-type music so that made it more difficult for me. Ha ha! If you like Elvis, though, you will LOVE this movie. Watching Ryan Wade struggle to find his identity definitely pulls at your heartstrings. The ending (which I won't give away) does warm one's heart. 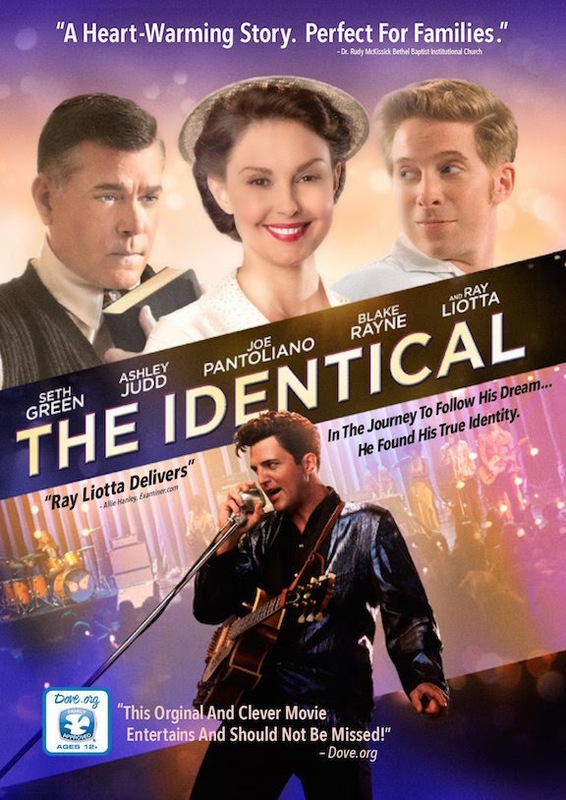 You can enter for a chance to win your own DVD of The Identical.